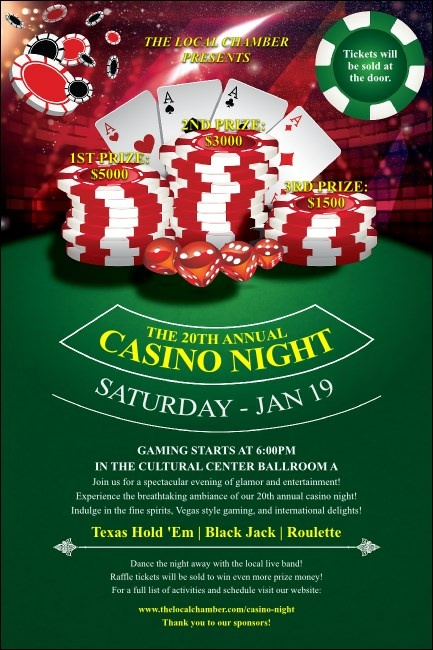 Win the pre-event advertising jackpot when you print Casino Chips Posters and post them in advance. Pack the house for your next gaming event with Posters that feature a traditional green felt poker table with four aces, tall stacks of chips, and four red dice. Add up to twenty-five lines of text for all your event details to the template below. Approximately measures 11.46" x 17.18"